The Korean War (1950-1953) reeked devastation, pitting the United States, South Korea, and 16 other countries against North Korea and China. A mere three years of fighting left 3 million civilians dead, a decimated Korean peninsula, and over a half century of family separation for 10 million Koreans, including Korean Americans. Unknown or now forgotten by most Americans, the impact of this war is far from forgotten for Koreans. A new documentary by award-winning Berkeley filmmaker Deann Borshay Liem and Boston College professor emeritus, Ramsay Liem, paints a meditative and highly personal portrait of the Korean War through the stories of four, now edlerly, Korean civilians who were there–Suntae Chun, Hee Bok Kim, Minyong Lee, and Kee Park. 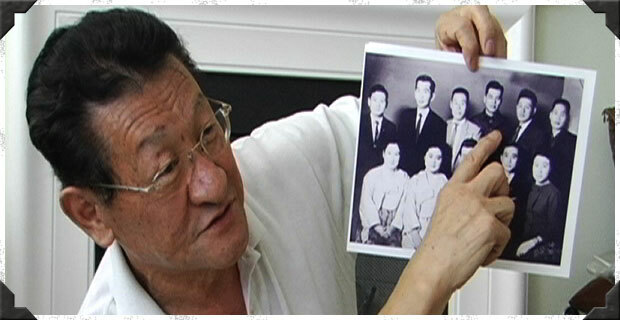 “Memory of Forgotten War” has its world premiere Monday evening, March 18, at 6:30 p.m., at San Francisco’s Kabuki Cinemas as part of CAAMFest 2013 and is the first documentary to tell of the experiences of Korean survivors who later immigrated to the U.S. Immediately following the film, the filmmakers will have a conversation with audience about issues stemming from the now 60 year-old Korean War, for which no formal peace accord was ever struck. The Korean drumming group, Jamaesori (Pronunciation: “JAH-mae-soh-rlee”), will also perform after the screening. Jamaesori is a Bay Area collective of women of Korean descent who use traditional Korean drumming to support social justice movements. Their Pilbong style of Pungmul drumming is a centuries old participatory folk art tradition and a rare treat. Deann Borshay Liem, who directed the award-winning adoption documentaries “In the Matter of Cha Jung Hee” (2010), and First Person Plural (2000), both of which appeared on PBS’ acclaimed POV (Point of View) television program, has a remarkable gift for weaving together personal stories to create a living tapestry of collective history. A CAAMFest favorite, all of her recent films have screened there and sold-out, and she often stays to chat with enthusiastic audience members long after the Q&A officially closes, connecting with them over shared issues. Ten years ago, she served as CAAM’s Executive Director, where she supervised the development, distribution and broadcast of new films for public television and worked with Congress to support minority representation in public media. Her collaboration with her brother-in-law, Ramsay Liem, who organized the 2005 traveling exhibition, “Still Present Pasts: Korean Americans and the Forgotten War,” builds on the oral histories of Korean American survivors he collected over a three-year period for that project which included oral history excerpts, original artwork, interactive installations, video art and historical photographs from the Korean War. When Borshay Liem and Professor Liem decided to make a documentary to reach audiences that the exhibition could not, they selected Chun, Kim, Lee, and Park out of the more than dozen Korean American voices from the exhibition. Chun, Lee, and Park had initially participated in Still Present Pasts…, while Kim, 91, lovingly known as “Grandma Kim,” and a forceful community activist, who appeared on the April 2003 cover of KoreAm for her work with the Bus Riders Union in Los Angeles, attended Still Present Pasts… in Los Angeles and was grandmothered into the project. Kee Park, who came from a wealthy land-owning family, remembers the growing bitterness directed at her father and the land’s repatriation and later going with her mother to various prison camps and searching through corpses for her missing father. She later shares how her mother essentially brokered their family’s freedom to the South by bribing border guards with silver spoons and chili powder. Minyong Lee tells how his brother ideologically identified with the communism of the North and left Seoul, moving North, and never returned. Later, his other siblings followed. With the closure of the border, those siblings were lost to Lee who felt a part of him “was just gone.” Lee then later recreated his life and lived a lie. He became the only son, omitting that he had siblings on all official documents and never mentioning his lost family members in North Korea to friends. While his university exam scores were very high, he knew that he would never fulfill his dream of becoming a diplomat because he, like others who had family in the North, was a liability to his country. 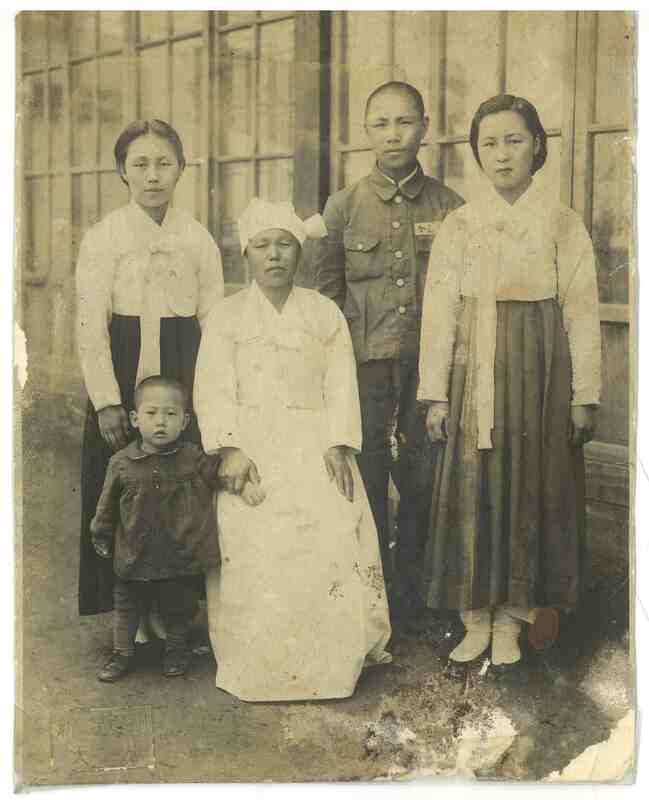 Hee Bok Kim, born in Pyongyang, recalls vividly the day they were told to evacuate. She would not leave her basement because her children had the measles. Later, her odyssey darkened as she and her family were forced to live out of a desk in an abandoned office building. Just 37 minutes in length, “Memory of Forgotten War,” astutely takes these emotional eyewitness accounts and blends them with thoughtful analysis and interpretation of events by Korean War historians Bruce Cumings and Ji-Yeon Yuh that situate these stories in a broader historical context. The Liems use riveting black and white newsreels, U.S. military footage, archival photographs, propaganda posters, and newspaper articles, to frame the complex political, social and historical forces that set this war in motion and its messy, devastating aftermath. Most aspects of the war are covered—its outbreak and the day-to-day struggle for survival through relentless U.S. bombing campaigns; the loss of family members at the hands of combatants on both sides; finding shelter in cardboard hovels; the arbitrary separation of families across the 38th parallel; the aftermath of a devastated and ideology-driven Korean peninsula with Kim Il Sung a puppet of Stalin in the North and the American-supported and educated Syngman Rhee as South Korea’s first President; immigration to the U.S. and life as war survivors in the U.S. The film culminates as each survivor reunites with relatives in North Korea, conveying beyond words the meaning of four decades of family loss. With so much time, many relatives who lived in bleak and deprived circumstances in the North, have died and it is the next generation that these survivors meet. 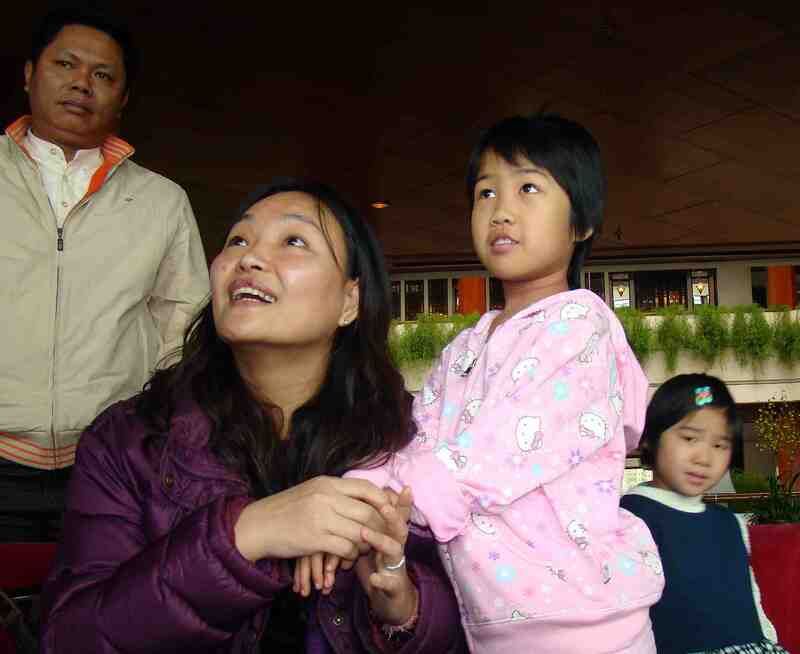 As Ms. Liem knows well from her own adoption journey, which took her to Korea in search of her birthmother, there is no substitute for the passage of lost time. The gift of a film like this is that serves as a powerful reminder that this war did happen and its tangled mess can be measured in very palpable terms and there are precious stories waiting to be shared among various generations of Korean and Korean-Americans. Stay-tuned to ARThound for an interview with the Liems about what into making this exceptional documentary. Details: CAAMfest 2013 runs March 14-24, 2013 at 8 screening venues in San Francisco and Berkeley. Regular screenings are $12 and special screenings and programs are more. Festival 6-pack passes are also available for $60. Click here to see full schedule and to purchase tickets online. Advance ticket purchase is recommended as films frequently sell out. 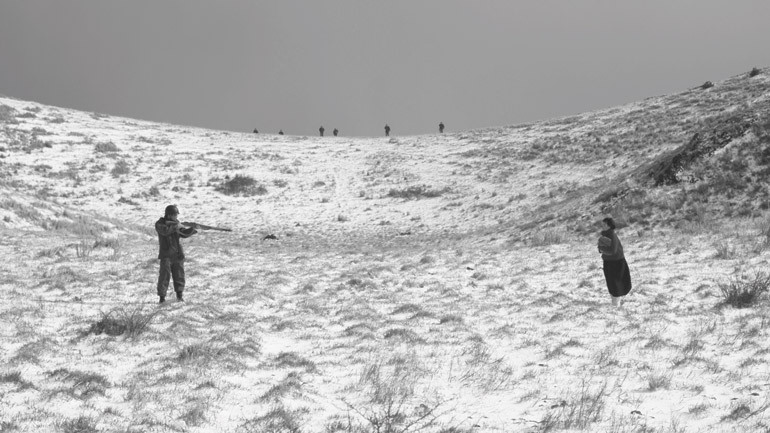 Jiseul: Set during the 1948 Jeju Massacre, Jiseul tells the fictional story of some 120 villagers who hid in a cave for sixty days from soldiers who were under shoot-to-kill orders. They suffer from severe cold and hunger but retain their sanity by making jokes and holding on to the hope that their wait is almost over. Eventually their endurance wanes, and fear begins to test the group’s mettle. 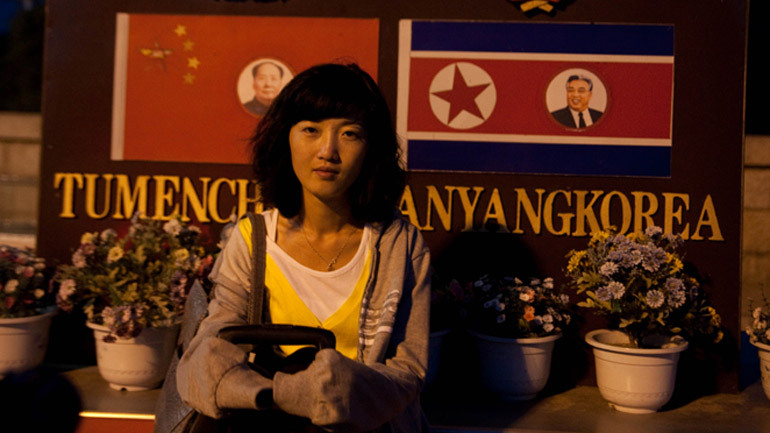 Over 20,000 North Koreans have crossed the border to China in search of freedom. Most of them live in hiding, in fear of being deported back to North Korea and politically persecuted. Director Hein S. Seok, a recipient of one of only five film-production grants given by CAAM’s 2010 Media Fund Program, reveals their often overlooked stories in this intimate, daring tale of struggle, heartbreak and survival. Comrade Kim Goes Flying: As a young girl growing up in the North Korean countryside, Kim Yong Mi dreamt of sprouting wings and soaring through the skies like the doves that flew above. Years later, the now-adult Comrade Kim spends her days cheerfully laboring as a coal miner and living with her father and grandmother in their idyllic industrial village. But when an opportunity arises to go to Pyongyang, Comrade Kim eagerly sets off for the capital city. There, a chance meeting with members of the Pyongyang Circus—including the cavalier and handsome Pak Jang Phil (Pak Chung Guk)—ignites Kim’s desire to pursue her childhood love of acrobatics. Armed with plenty of pluck, charm, and working-class resilience, Comrade Kim launches a surprising journey toward making her childhood dream come true.